Indiana Gov. 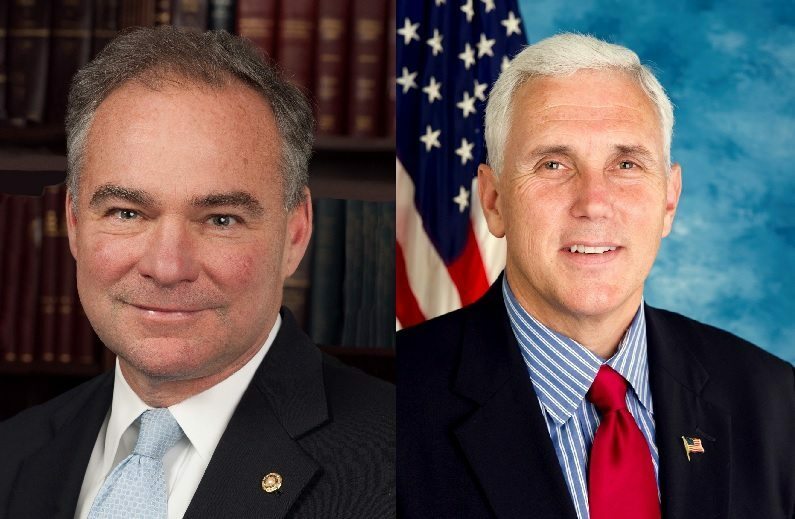 Mike Pence (R) and Sen. Tim Kaine (D-Va.) will share the biggest and most hazardous stage of their careers when they face off in Farmville, Va., for the season’s only vice-presidential debate, and it is ­expected to center on the two figures atop the tickets. Pence and Kaine are poised to duel over the temperament, qualifications, honesty and records of Republican Donald Trump and Democrat Hillary Clinton, as the two affable and smooth-talking men explain and proselytize for their historically unpopular running mates. Clinton aides said they are planning to exploit any daylight that might emerge between Pence and Trump, perhaps over Trump’s attacks on former Miss Universe Alicia Machado and the Gold Star parents of a Muslim U.S. soldier, or Trump’s years-long crusade questioning President Obama’s birth in Hawaii. It’ll be fun to see how Pence handles this, which he should be able to do handily. Now, please take our poll and let us know who you think won, then tell us why in the comments below.